Ever had a plant die on you, and wonder where you went wrong? “But I watered it every day!” “There’s plenty of sun in that bit of the yard!” The simple truth is that there are lots of different elements that need to come together for plants to thrive. Even the hardiest species will struggle if something’s missing. You can apply the same thinking to your personal growth. To learn and develop, you need opportunity and motivation. Depending on what you’re aiming for, you might also need specific resources. If you feel like you have access to the elements that support growth but you’re still stuck in a bit of a rut, there’s one vital thing you might be forgetting – the right mindset. People with a fixed mindset believe that intelligence and talent are pre-determined. They believe that they’re gifts you’re born with and can’t be changed. On the other hand, people with a growth mindset believe that abilities can be developed, changed and improved upon over time. When someone has a fixed mindset, they’re more likely to avoid challenges, give up easily, and ignore constructive criticism. They’d rather shape the world around them than try to change themselves. For example, someone who doesn’t think they’re good at sports might decline an invite or opportunity to get active, because their mindset says they’re more of a ‘sitting at home with a good book’ type of person. As though the two are mutually exclusive. Successful people, on the other hand, embrace challenge. They don’t see failure as the end – instead, they see effort (no matter the result) as part of the pathway to improving. And they find inspiration in others’ success – so they seek out people who challenge them, rather than just those who make them feel comfortable. It’s a pattern of behaviour you can see in all kinds of successful people, from famous entrepreneurs who’ve built their businesses from the ground up, to ordinary Aussies who’ve changed their diet and exercise habits mid-life (and kept it up). 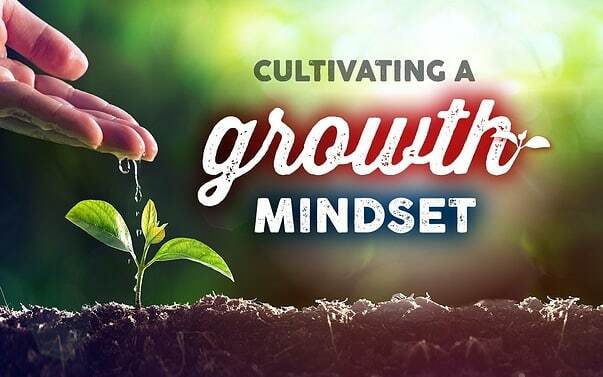 One way you can start cultivating a growth mindset is to think of a time you tried to do something new and it didn’t work out. Ask yourself whatreallystopped you from trying again, and try to think of the lessons you learned from your experience. What are the elements of growth that you were missing? This will help you reframe it as a stepping stone, not a failure. For example, if you’ve tried to pick up a new language but dropped out after a few lessons. Did you really make time in your schedule for practice? Did you work on forming social bonds with your class mates? The other trick is to try naming something you’ve always done the same way. Ask yourself why you do it that way, and whether there could be a better way. Don’t worry if what you’ve got in mind seems a long way off. Focus on cultivating the skill or ability and your triumphs along the way, instead of fixating on an outcome. Think of it this way; you wouldn’t be disappointed with a sunflower seed for failing to sprout and grow into a six foot sunflower overnight. Enjoy each little stage of the growth process. Find quiet satisfaction in ‘getting it right’ – no matter how marginal the progress. Who knows; you might surprise yourself. And the people who matter most to you.